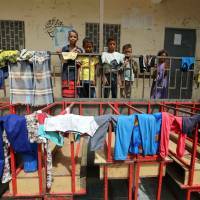 Nearly 5,000 families displaced in Yemen's Houthi-held Hodeida: U.N.
SANAA - Nearly 5,000 families have been displaced in Yemen’s flash-point Hodeida province this month, the U.N. said Sunday, as violence escalates in the rebel-held Red Sea region. After nearly a month of sporadic clashes, the Yemeni government — backed by Saudi Arabia and its allies — on Wednesday launched a major assault to retake the densely populated city of Hodeida, capital of the province and home to the war-torn country’s most vital port. 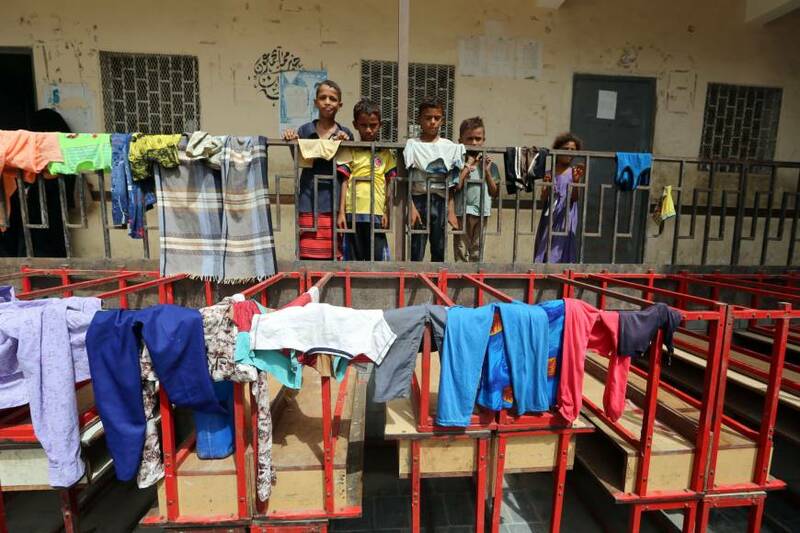 The U.N. Office for the Coordination of Humanitarian Affairs said 4,458 households had been displaced from their homes in Hodeida since June 1, with 36 families losing their livelihood as their farms were damaged in the conflict. The fight for Hodeida has sparked fears of a fresh humanitarian crisis in a country where more than 22 million people are in need of aid, including 8.4 million who are at risk of starvation. The Yemen war has claimed some 10,000 lives since a regional coalition, led by Saudi Arabia, joined the government’s fight against the Iran-backed Houthi rebels. The U.N., which has described the conflict as the world’s worst humanitarian crisis, has called for restraint as Yemen envoy Martin Griffiths holds talks with the Houthis on potentially ceding control of Hodeida port to the international body.